I’m a reading specialist, but I actually have a math-oriented brain. I love logic, organization, and breaking things down. I do think there’s so much value in carefully planning your lessons and doing long-term planning—even if you don’t share my strange love of organization. 😉 If you have a set planning routine in place, you’ll feel less overwhelmed and less likely to fall behind! So in this blog post, I’m going to share my exact process for long-term and weekly lesson planning. I’m going to break it all down and explain how I stay on-track and ahead of the game! First, I want to mention that I’m a reading specialist. My planning process looks a bit different now that I teach mostly reading intervention. What I’m sharing here is the exact process that I used as a classroom teacher (before I became a reading specialist). So let’s start at the very beginning—the very beginning of the school year! Or actually, the summer. I don’t even attempt to do long-term planning at the very beginning of the school year, to be honest! I’m too worried about setting up my classroom and keeping myself together for the first day, back to school night, etc.! I take a list of my units and the length of each unit, and I lay them out over the school year. 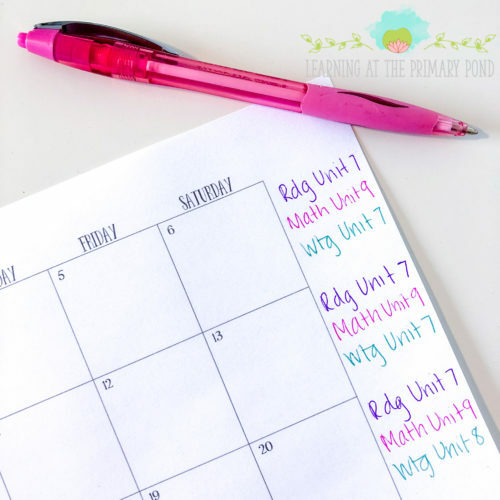 Using a monthly calendar (like this free one from Scattered Squirrel), I write the unit name or number next to each week. I also build in about 3 extra days for each unit, if I can. I like color coding, too!! Honestly, I don’t always end up sticking to this calendar 100%. Sometimes units finish a bit later or earlier than I intended. But I do feel that it’s best to start the year with some kind of plan. Otherwise, you can accidentally spend too long on a unit and feel rushed for the rest of the school year. This process is pretty easy—unless you don’t have defined units or any kind of curriculum with a pacing guide! Then it gets a bit tricky. If you’re starting from scratch, I recommend deciding on your units before the school year begins. Anyway, if you’re choosing your units, make a list of the standards and/or topics covered in each unit. This will help ensure that you cover all of the necessary standards or topics. 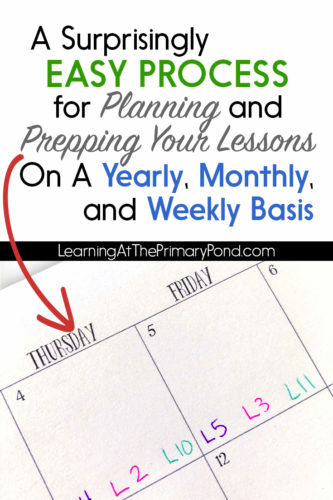 Don’t feel pressured to list out every lesson or activity at this point; you’re just doing some general, long-term planning to keep yourself on track. Once you have a basic outline of each unit, try the weekly calendar mapping procedure that I described above. Okay, so to be completely honest, my “monthly” planning process is not all that monthly. Sometimes it coincides with the beginning of the month, but often it doesn’t. I usually go through this routine shortly before I begin a new unit of instruction, maybe a week or two in advance. So it’s usually more of a “unit” planning process than a monthly one—but again, you can adapt it to meet your own needs. I list out the lessons I intend to teach during the upcoming unit. I make a few notes about the content of each lesson and what materials I might need. (If I have a defined curriculum resource to use, I’ll just read through the materials I already have and highlight anything that needs to be prepped, located, or purchased. 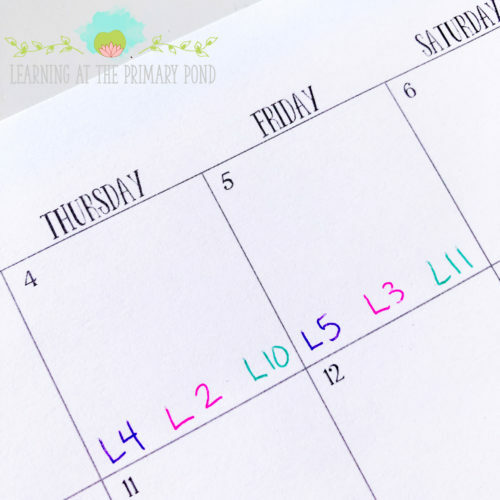 I take that same planning calendar (where I wrote the units out by week) and note when I intend to teach each lesson—making sure to account for days off and special school events. I don’t typically write in the full lesson title, just the number of a lesson. Once I’ve done that, I can then take any necessary steps, like requesting books from the library, preparing heavy-prep materials, etc. Certain projects and activities required me to go purchase materials, order something, request books from the library, or do a lot of cutting. I wouldn’t always have time to do that when I planned only a week out. When a volunteer came in unexpectedly, I wouldn’t always have something for her to work on. I wouldn’t know what we’d need in a week or two, so I couldn’t make the best use of her time. The yearly planning and monthly / unit planning help me stay ahead of the game, but I wait to make my final plans until the Thursday before the following week. I typically plan for next week’s lessons on Thursdays. Thursdays work well for me because at that point in the week, I can usually guess what we’ll be able to finish during the current week. Also, if we started a new skill during the current week, waiting until Thursday to make future plans gives me a chance to see how students are doing with the skill. I can then plan for re-teaching during the following week, if necessary. So on Thursdays, I type my lesson plans into a planning template. I don’t have a specific tool or planner that I use. I usually just create a simple spreadsheet-type setup that follows the order of my school day. I’m constantly tweaking what I use! 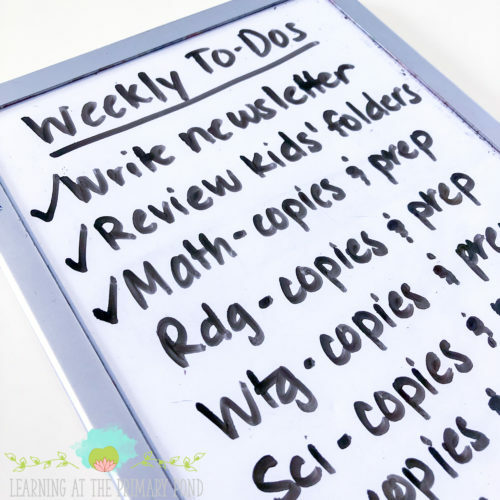 In addition to typing up my lessons, I keep a whiteboard with recurring tasks that must be done every week. Each week, I make a checkmark once I’ve completed the task for the following week. On Friday afternoons or Mondays, I erase all the checkmarks and start all over again. You’d think that doing the same things every week would mean that I remember them all without this checklist. But…I don’t! Plus, I feel like having this checklist frees up “mental space.” I’m not worrying about what I’ve forgotten to do, because it’s all there for me. If you prefer to use an online re-usable checklist, you can use a free tool like Trello. That’s my whole process right there! It’s nothing fancy or complicated, but it works really well for me. 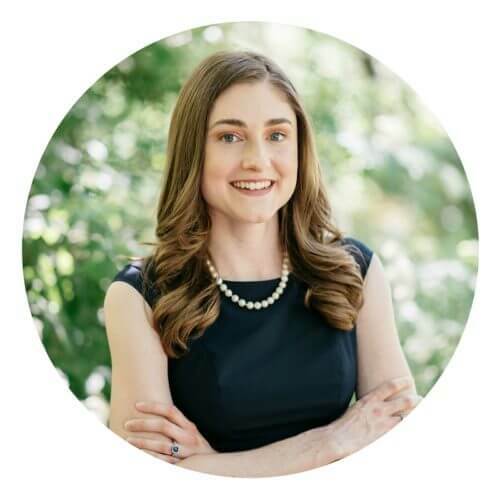 If you’re looking to make planning easier or quicker, I have many resources to support you! My writing lessons, reading lessons, and guided reading lessons are all written out for you and ready to use. Having those complete lessons on hand will drastically reduce your planning time and help you stay on top of your planning! And if you have any planning tips to share, I’d absolutely love to hear them in the comments. Happy teaching! ← Can I share your story on Learning At The Primary Pond?